hd00:06VIRGINIA - OCTOBER 2011. 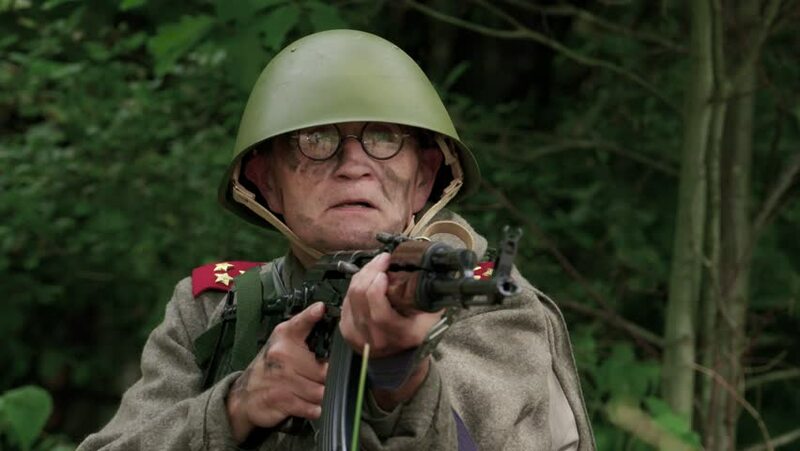 Historical Reenactment of WW2 United States Army G.I.s on combat patrol circa 1943-1945. M-3 Machine Gun.